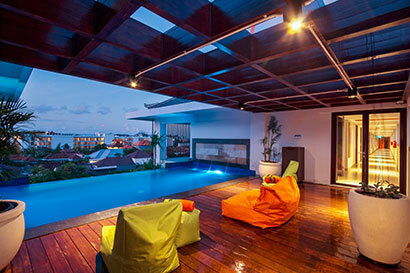 HARRIS Hotel Seminyak features swimming pools that mainly located on the ground floor and a flying pool that is located on the 5th floor. 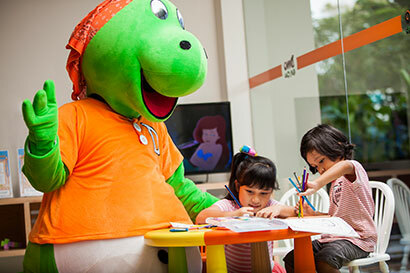 Located on the ground floor, Dino Kids Corner offer a playground for your kids with activities such as Drawing kit, Toys, & TV with children's TV channel. Unwind your way to our spa, enjoy a truly peaceful relaxation at H'Spa. Located on the 2nd floor and open from 09.00 AM to 10:00 PM daily. 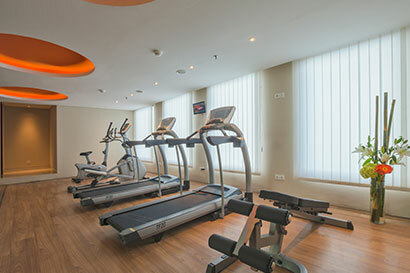 Located on the 1st floor, feel your best self by spending time in our Gym. Open from 07.00 AM to 10.00 PM daily. Located on the ground floor, our Boutiques open from 08.00 AM to 11.00 PM daily and offers fashion collections & HARRIS merchandises.